Why Is It Important To Regularly Stain Your Deck? A professionally installed deck can bring a lot of value and beauty to your home. So when it comes to properly maintaining and caring for your deck, you want to make sure that you are going about it the right way. Freedom Fence and Home knows that one of the keys to good deck maintenance is to regularly stain your deck. Here are a few reasons why staining is so beneficial. The initial deck staining serves two main purposes. The first is that it finishes the wood and customizes the look and color of the deck to meet your exact specifications. The second is that the stain itself protects the wood. Think of how much wear and tear your deck will go through, not just from people walking on it, but also from being exposed to various kinds of weather all year round. Rain, snow, ice, hail, and even heavy wind can all take their toll on the quality of your deck’s surface. This is when regular staining comes in. Your professional deck experts from Freedom Fence and Home will power wash the deck’s surface to remove any dirt, mold, or mildew that has built up over time. They will then sand the deck to smooth out any warping or imperfections, and finally restain it to return it to its original quality. 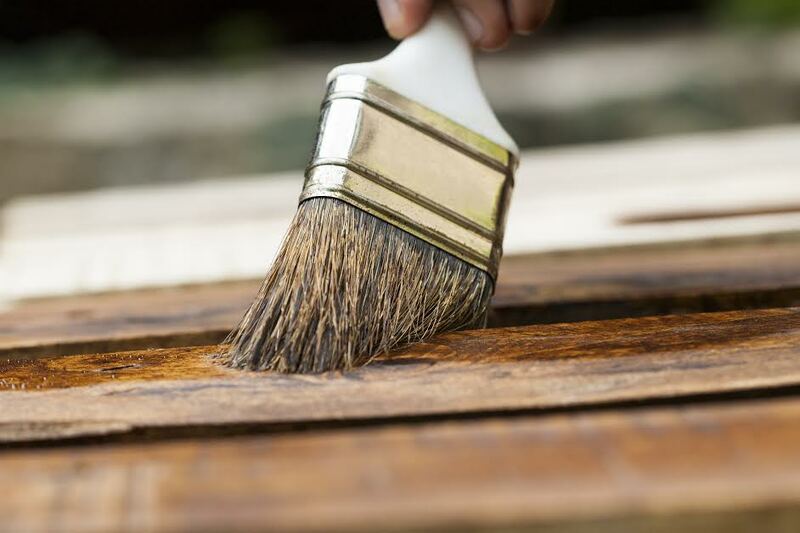 Regular deck staining is an important step to take to keep your deck in top shape. Do you have more deck maintenance questions? Do I Need My Deck Resurfaced In Maryland? Does My Deck Need A Railing? Freedom Fence and Home – Your Baltimore, Maryland Deck and Fence Experts! This entry was posted on Wednesday, April 2nd, 2014	at 8:37 pm	. Both comments and pings are currently closed.